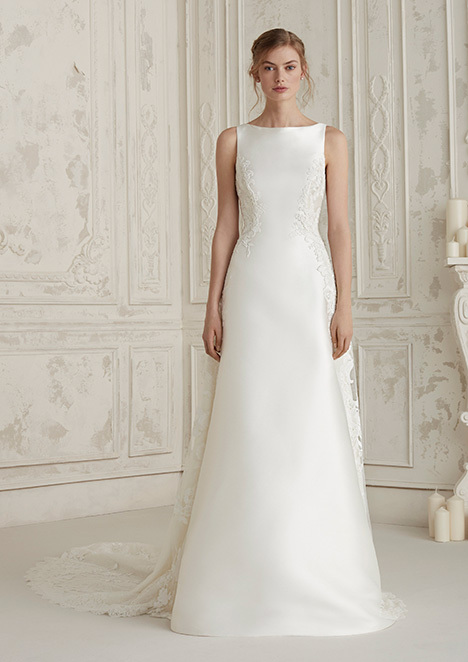 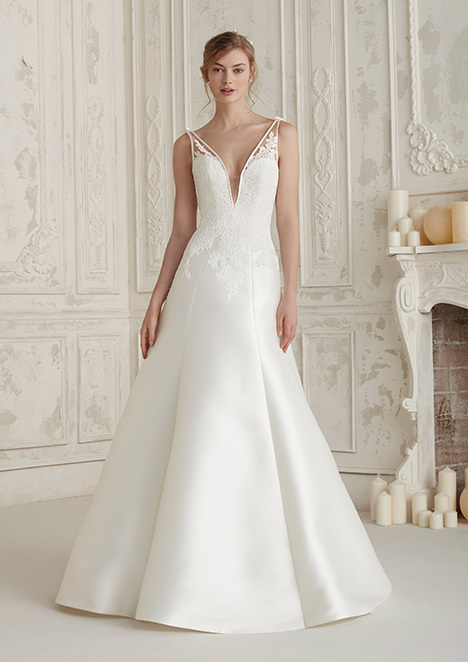 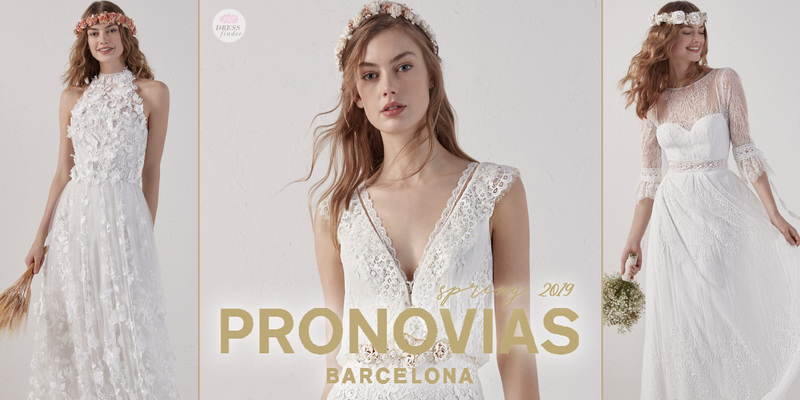 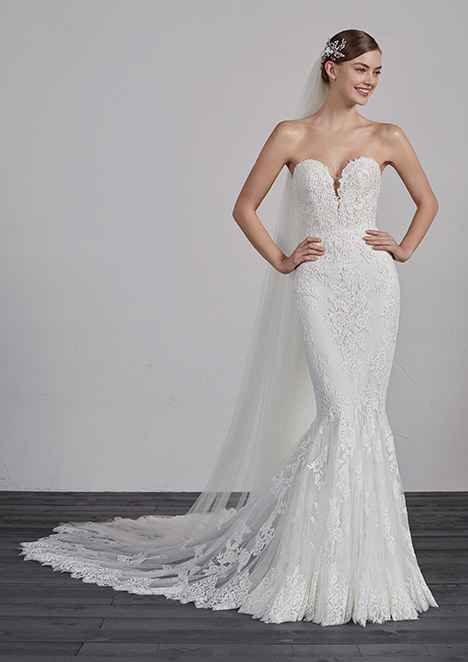 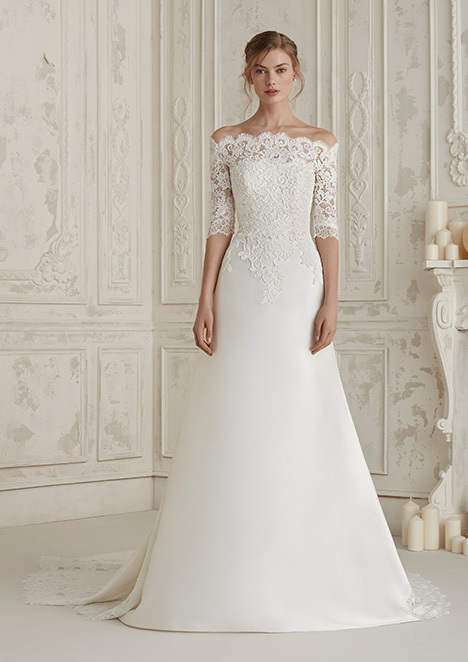 "The Pronovias 2018 Collection proposes daring necklines and accessories that one can take off or put on to create different bridal combinations. 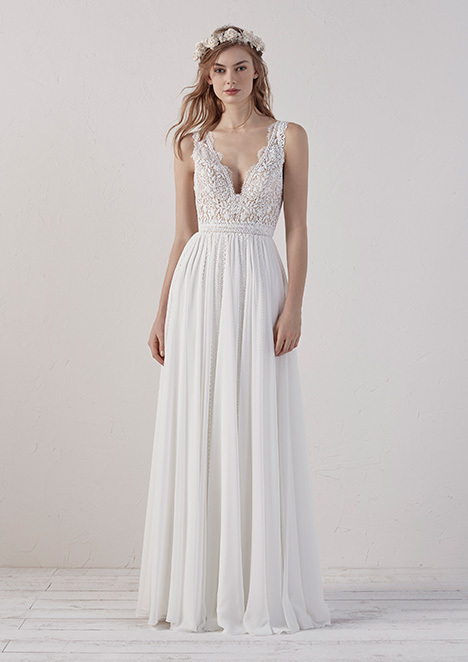 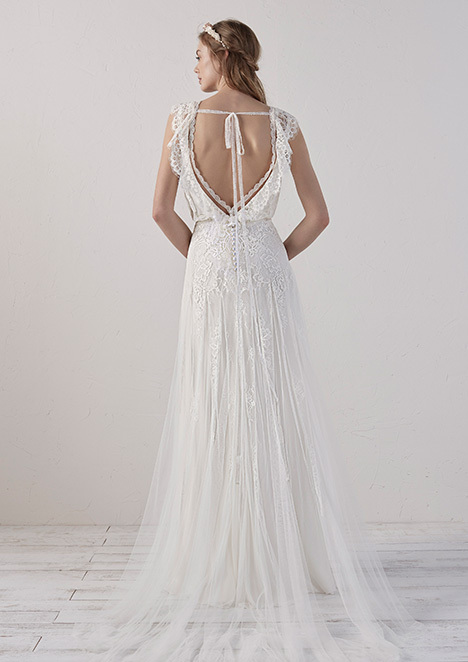 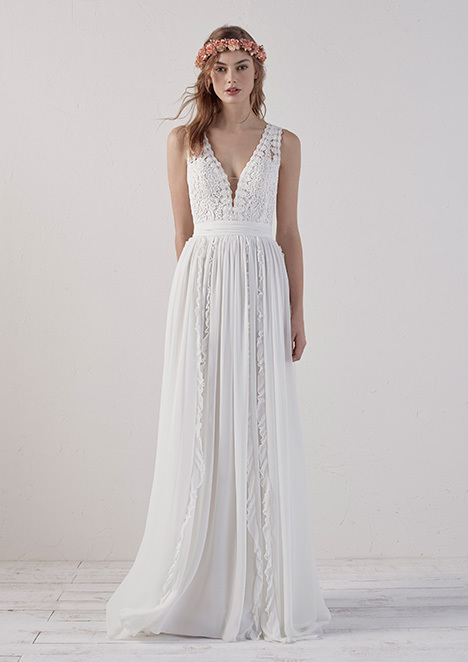 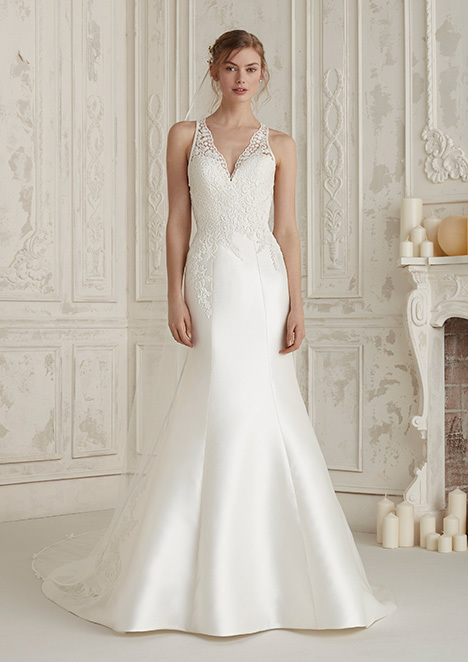 Brides can choose from a wide variety of necklines created to flatter their figure. 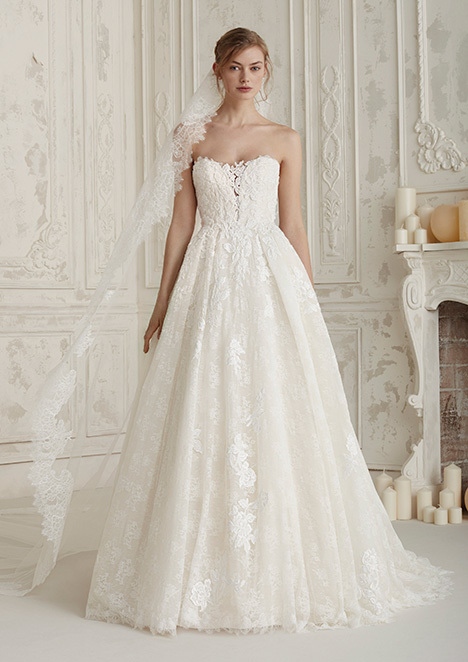 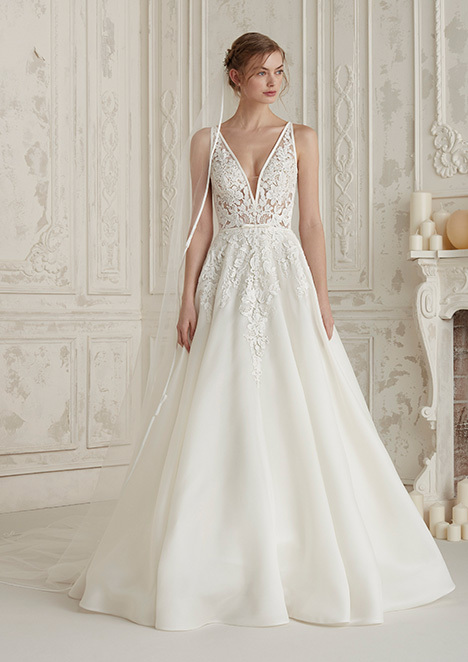 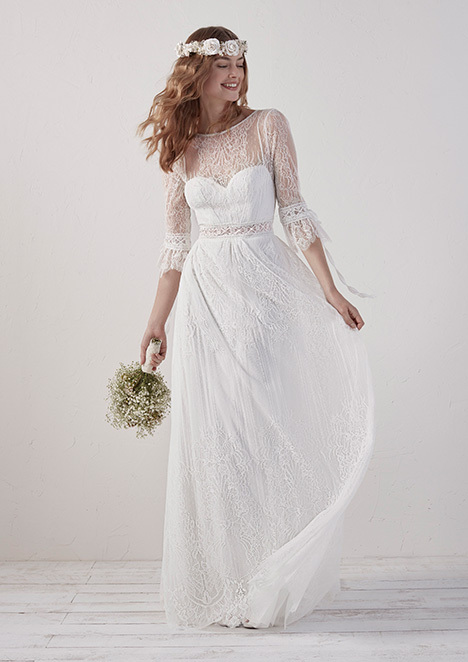 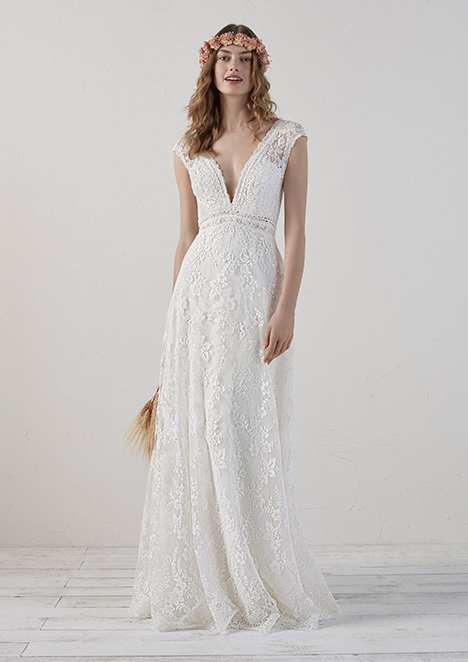 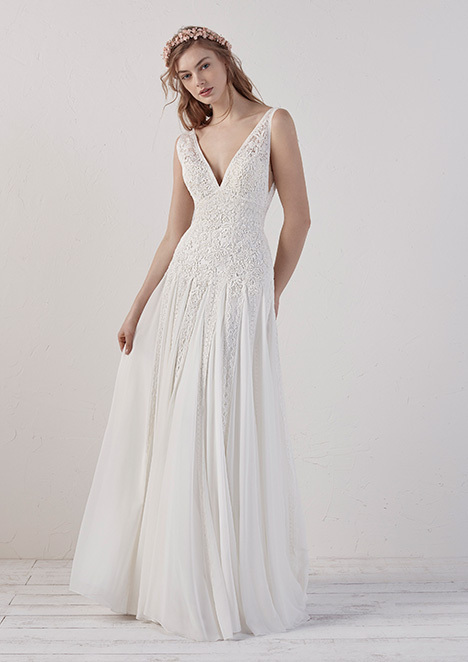 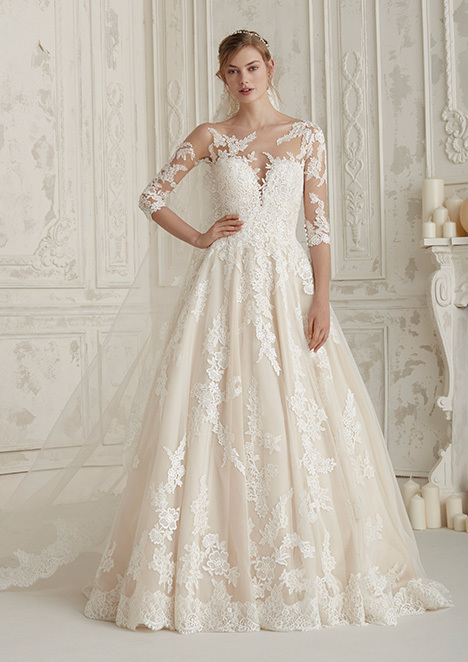 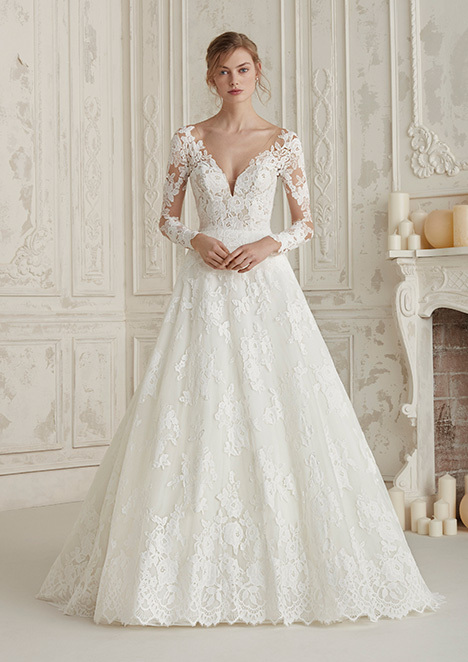 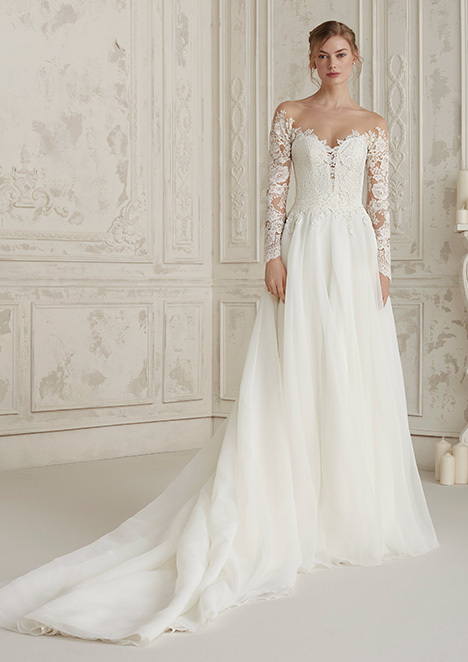 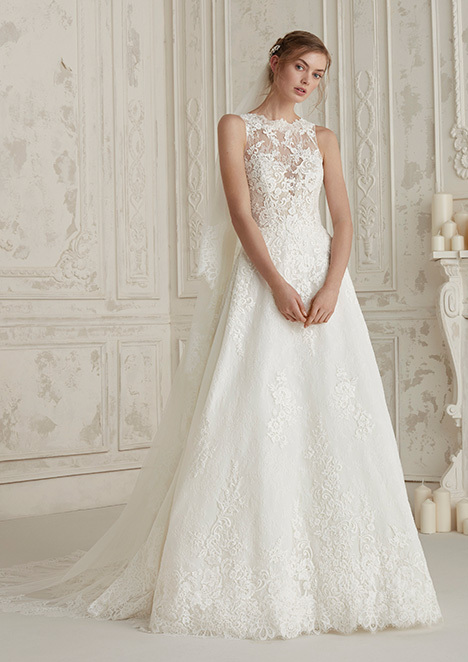 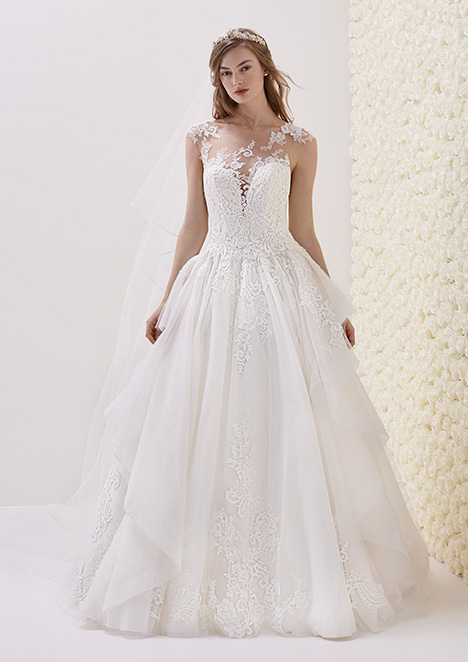 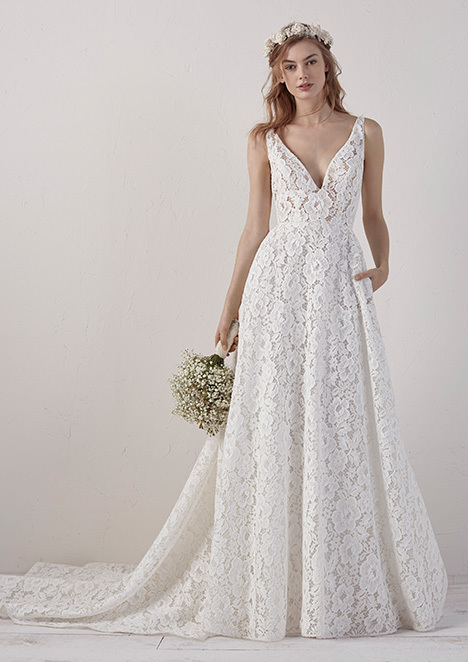 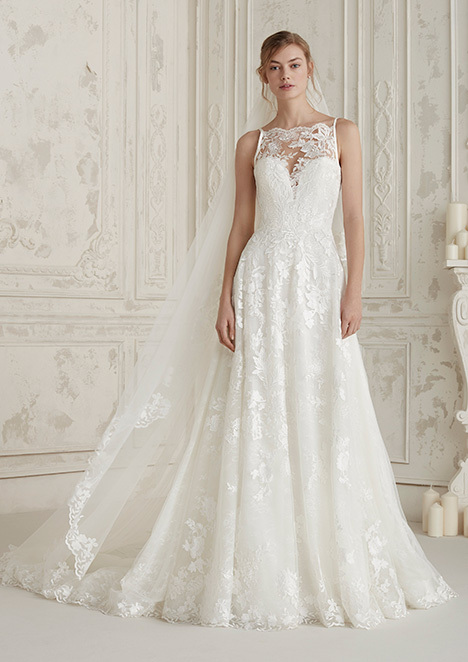 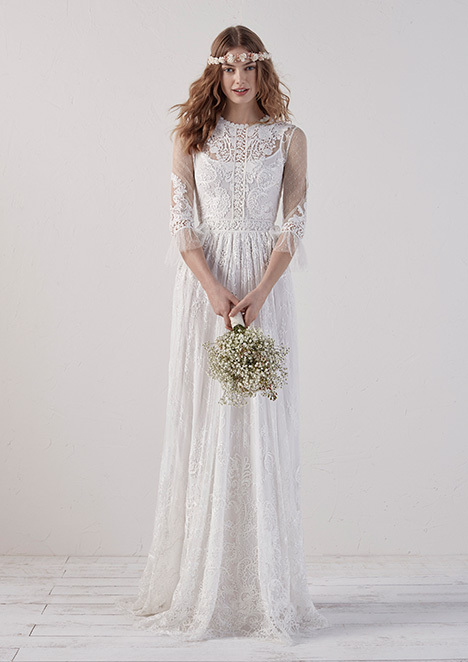 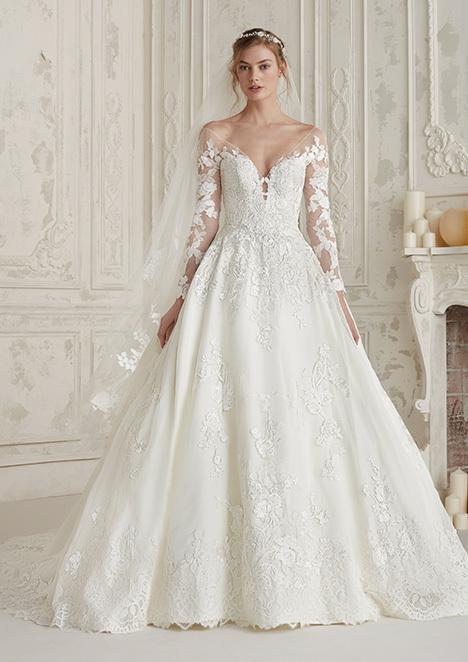 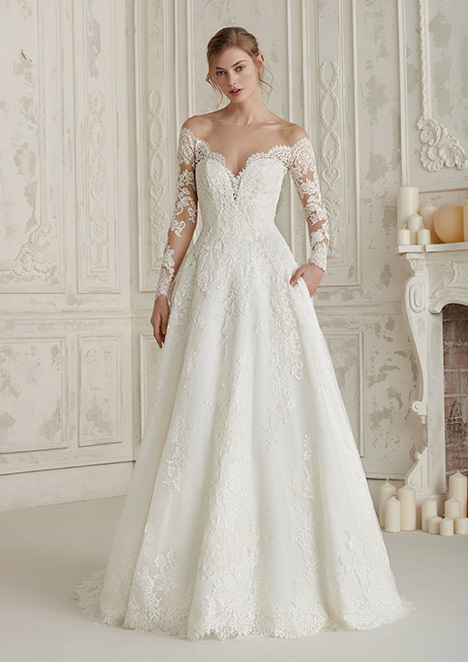 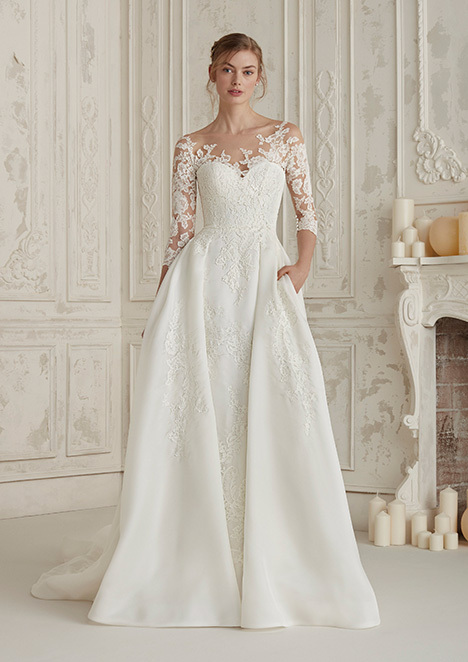 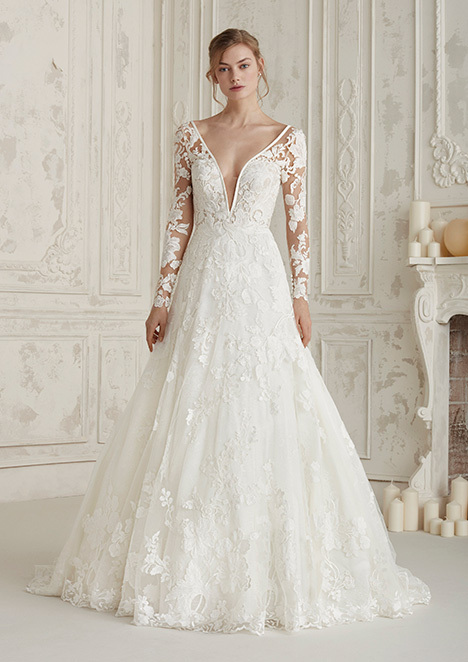 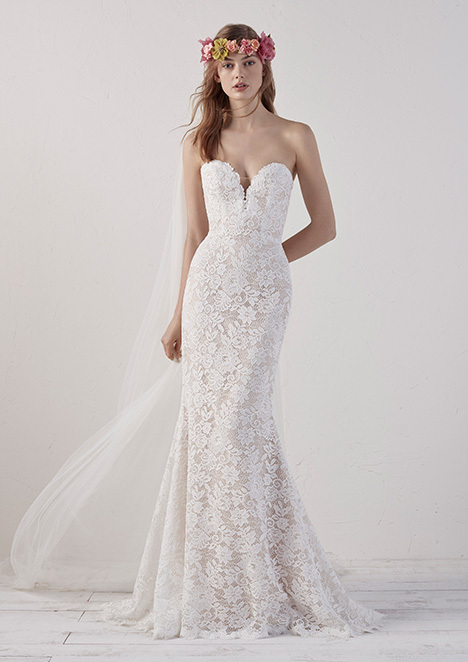 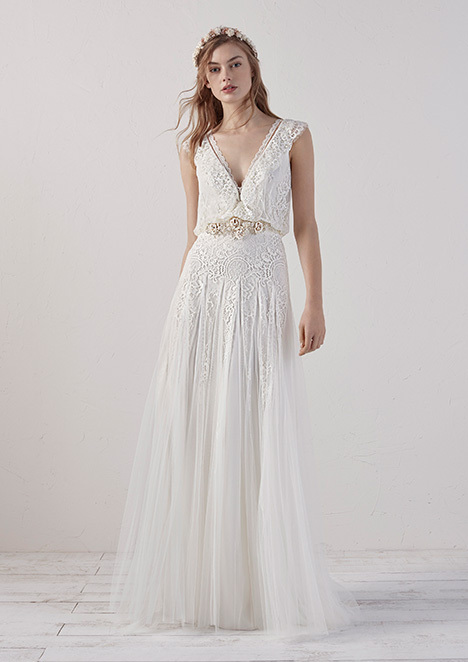 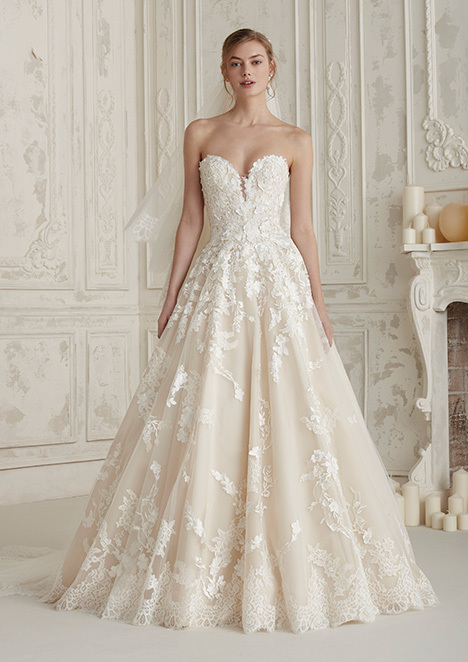 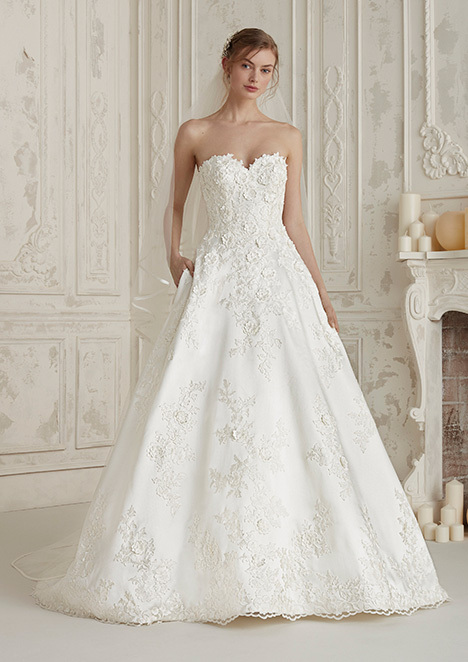 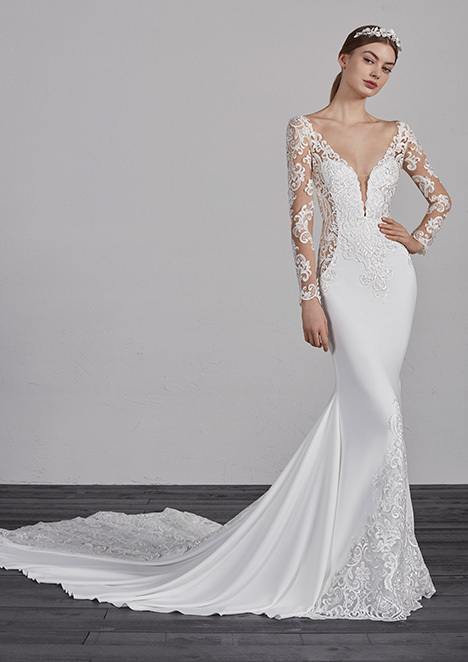 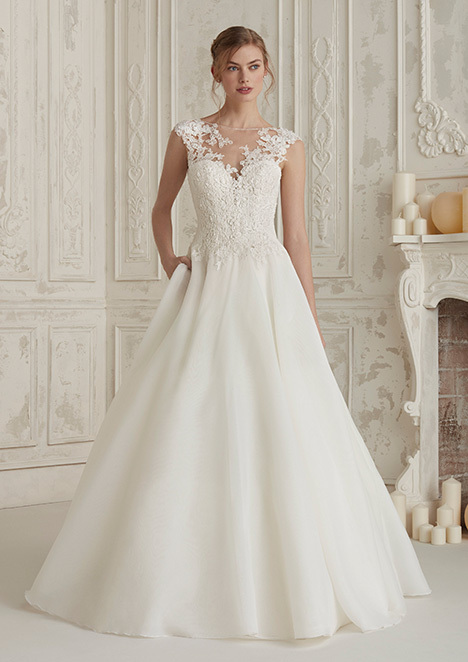 They will also find openings on the sides that streamline the feminine curves, as well as bodices combining illusion crystal tulle and French lace. 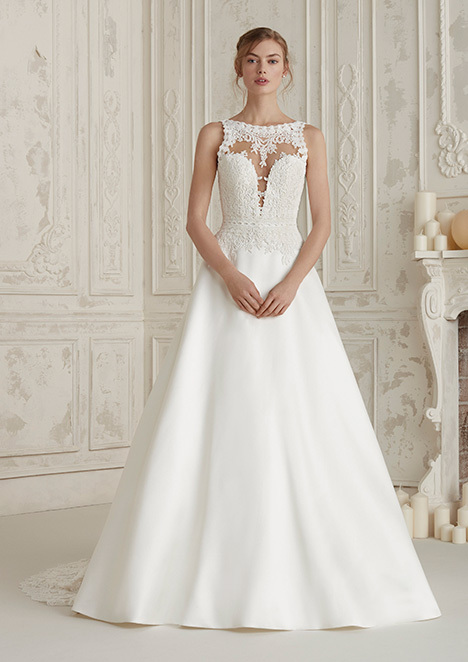 The lightness of the designs is emphasised with applications of lace and chiffon godets, while the dresses buttoned from top to bottom provide fluidity and elegance. 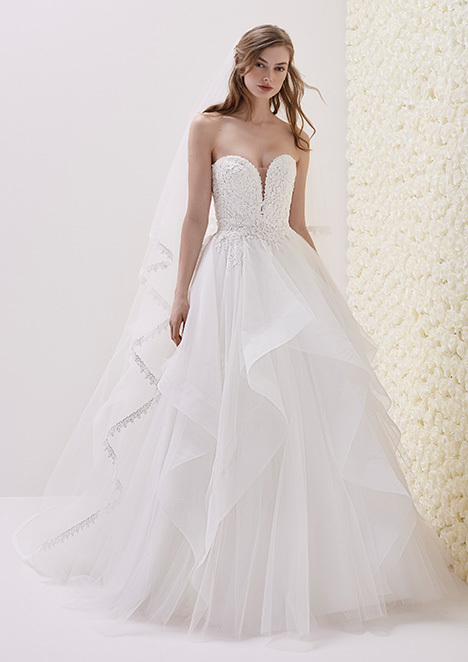 The off-the-shoulder styles and overskirts allow us to create multiple combinations to change the dress depending on the moment."